Cosmetic Dentistry – What it is, and its scope? Oral treatment not only deals with tooth extraction, cavity filling, gum disease etc, but restoring and reshaping your beautiful smile has a growing popularity today. Specialized Cosmetic Dentistry procedures are used for an everlasting organized quality of teeth in shape. Among the various cosmetic dental clinics in Pune, Sparkle dental clinic is the best in giving you a tooth full and a truthful smile. Our Cosmetic Dentistry will give you the best treatment and solution. What do you get at Sparkle? At the Sparkle dental clinic, our team of expert dentists in Pune carry out all the leading cosmetic dentistry procedures, right from Tooth Whitening to Tooth Bonding to Ceramic Crowns, Laminatas and Veneers, Gum Recountouring to Smile Makeovers. The place where you get it all! We are the best cosmetic dentistry in Pune, and we restore the hidden smile of our patients. Our prime motto and satisfaction lies in the smile of the patients. Our doctors have very good experience and are reputed as the best dentists in Pune. Visit our Sparkle dental clinic now, and enhance your quality of smile. , Cosmetic Dentistry in Pune, has evolved a lot in Teeth Whitening, Orthodontics, White Fillings, Caps and Bridges treatments. Bonding is a composite resin filling placed in the back teeth as well as the front teeth. Composites are the solution for restoring decayed teeth, making cosmetic improvements and even changing the color of your teeth or the reshaping of teeth. 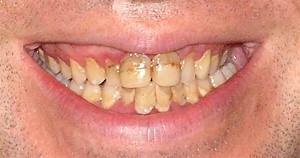 Bonding will lighten any stains you may have, close up minor gaps and can be used to correct crooked teeth. Basically, bonding will cover any natural flaws applying a thin coating of a plastic material on the front surface of your teeth. After this, your cosmetic dentist in Pune will apply a bonding material and sculpt, color and shape it to provide a pleasing result. A high-intensity light then hardens the plastic, and the surface is finely polished. While the traditional silver fillings last about seven years, these composites should last about seven to eleven yrs. A very mild etching solution is applied to your teeth to create very small crevices in the tooth's enamel structure. These small crevices provide a slightly rough surface permitting a durable resin to bond materials to your teeth. The resin is then placed on your tooth and high-intensity light cures the resins onto your tooth's surface - with each individual layer of resin hardening in just minutes. When the last coat has been applied to your tooth, the bonded material is then sculpted to fit your tooth and finely polished. The resin comes in many shades so that we can match it to your natural teeth. Due to the layers involved, this procedure will take slightly longer than traditional silver fillings because multiple layers of the bonding material are applied. Typically, bonding takes an hour to two hours depending on your particular case. For the complete bonding treatment, you can now schedule an appointment and visit our dental clinic in Pune. If you have close, small gaps between your front teeth, or if you have chipped or cracked teeth, you can be a candidate for bonding. Bonding is also used for patients who have discolored teeth, uneven teeth, gum recession or tooth decay. Bonding material is porous, so smokers will find that their bonding will turn yellow. If you think you are a candidate for bonding, you can discuss it with our dentist in Pune. There are two types of bonding. What type is indicated in your situation depends upon whether you have a small area or a larger area that requires correction. Dental lab-created tooth-colored fillings require two appointments and involve making a mold of your teeth and placing a temporary filling. A dental laboratory then creates a very durable filling to custom-fit the mold made from your teeth. These fillings are typically made of porcelain. The custom-fit filling is then bonded to your tooth on your return visit. This type is even more natural looking, more durable and more stain resistant. The dental filling cost in Pune or anyplace else, will depend on factors such as type of corrections, fillings etc. Esthetics is the big advantage over silver fillings. As silver does not stick to teeth, entirely healthy tooth structure is usually removed to keep a silver filling in place. Composites permit your cosmetic dentist to remove only the decayed area of your tooth. Unlike silver fillings, composite bonding expand just like your teeth and are much less likely to cause cracks in your tooth. Composites bond directly to the tooth providing support. 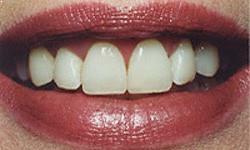 Composites can be used to fill in cracks, chips and gaps - and will match the color of your other teeth. Bonding with composites simply costs more in material and time. For comparison purposes, you can check out the bonding with composites and tooth filling costs in Pune. Teeth whitening is used to correct discoloration of the teeth by removing the brown and yellow staining. The term "teeth whitening" can refer to a number of techniques to improve the brightness of the patient's teeth. Among them are chemical whitening, mild acid whitening, abrasive teeth brightening and the newest technique, laser teeth whitening. For the best laser teeth whitening in Pune, do visit Sparkle the Dental Clinic in Pune. Before the patient embarks on the home teeth whitening regimen; as a part of the cosmetic dentistry in Pune, the cosmetic dentist creates a custom mouth tray for the patient. The custom tray is a critical component of the treatment. It ensures that the correct amount of whitening solution is used and that the patient's teeth are properly exposed to the whitening solution. The custom made mouth tray provides for a better fit than a one-size-fits-all mouth tray to help increase the margin of patient safety. The steps in the home teeth whitening regimen are fairly straightforward. The cosmetic dentist's office provides the patient with the materials and instructions and also answers questions the patient may have about the routine. Your dentist's office can also provide you with off-site supervision should you have any questions once you've begun. A home whitening session can last for two to three hours, during which time you will have the tray and solution in your mouth. 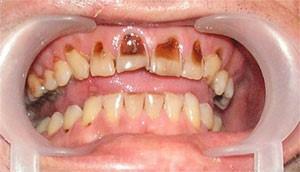 Depending upon your needs and desired results, your dentist may instruct you to keep the tray in your mouth overnight. Typically, you will follow your home teeth whitening regimen for two to three weeks, after which time you will return to your cosmetic dentist for a follow up visit. This is the usual process followed by the best cosmetic dentists in Pune. 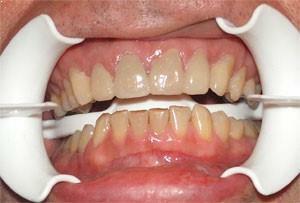 Teeth bleaching is a chemical process used to lighten the color of the patient's teeth. The procedure can be performed entirely in the cosmetic dentist's office or it can be performed by the patient in their home, using materials provided by the dentist. The home method is often used because it saves the patient from having to make an office visit each time. Generally speaking, the price of teeth whitening in Pune increases with the number of in-office treatments required by the patient. Dental insurance does not typically cover the cost of the teeth whitening procedure. Which are the types of teeth whitening procedures? There are a few teeth whitening procedures available that correct discoloration of the teeth by removing the brown and yellow staining. While each work effectively, there are advantages and disadvantages to each procedure dependent upon your objectives and commitment to the processes. The type of procedures available should be discussed with your cosmetic dentist, and they will recommend the most appropriate teeth whitening procedure for you. Using a special light with a whitening gel, this is an in-office bleaching system. It is often followed up with an at-home bleaching kit if needed. The translucent bleaching gel is applied to the teeth and a special activating light source is used to activate the crystals to absorb the energy from the light and penetrate the teeth enamel to increase the lightening effect on the teeth. The length of time in the cosmetic dentist's chair depends on the degree of discoloration you have, but two hours is common. Advantage:One visit is usually all it takes for a bright smile. The tooth whitening treatment under cosmetic dentistry in Pune typically costs 7000/-. The process of having a veneer made for your tooth in Pune involves a few short visits to your dentist in Pune. The procedure is simple and relatively painless. They look and feel completely natural. A beautiful result is achieved in just a few days time, and can last for many years. The texture and finish of porcelain veneers make them highly resistant to external staining. Due to their durability, looks and comfort, veneers have become one of the most popular cosmetic dental treatments available today. Some of the best cosmetic dentist in Pune perform it for us. Feldspathic porcelain is the standard, traditional porcelain that is used for crowns. The best cosmetic dentists in Pune feel that this is the most beautiful porcelain. The Empress crown - Empress is strictly speaking not a porcelain, but is more like a glass. It can be called a ceramic material. The Empress material is cast rather than baked as a feldspathic porcelain crown is. The fit of Empress is more precise than the baked feldspathic porcelain. However, the color in Empress is mostly baked on the outside. Empress can be very beautiful. For appearance's sake, some experts and the best cosmetic dentists in Pune are known to prefer the Feldspathic porcelain, while some prefer the Empress. 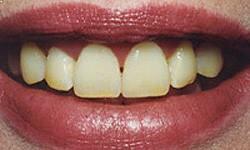 We can add composite fillings to lengthen your teeth to look better or trim teeth. The more skillful the dentist, better the results. At Sparkle, we have a team of some of the best cosmetic dentists in Pune, to carry out the procedure for you. 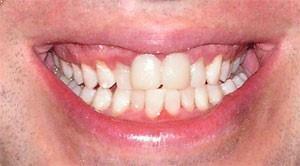 Size and shape also are major factors that define the appearance of teeth. The most common cause of changing tooth size and shape over time is tooth wear; and the most common cause of wear is tooth-to-tooth contact, or grinding. Wear on the edges of the teeth can give the appearance of aging because you do not show as much of your teeth when you smile. Another factor that affects how much of your teeth show when you smile is the loss of skin tone as you age. This loss of tone causes your face to sag, thereby showing less of your upper teeth and more of your lower teeth. The aesthetic dentistry treatment can vary from teeth bleaching to dental crowns or dental veneers. Depending on the severity, other forms of treatment such as braces and gum surgery also may be indicated by our braces specialist in Pune. If the cause is due to wear of the teeth, dental veneers or dental crowns can be used to regain the lost length and fill out the smile. On the other hand, this may not have a significant effect if the cause is due to the loss of skin tone associated with age. If this is the case, plastic surgery may be indicated as part of the treatment.